The Fruit Market Gallery has a reputation for exhibiting lively and divisive art. This gallery tends not to sit in safe middle ground which is refreshing and surprising in this historic area of Edinburgh. 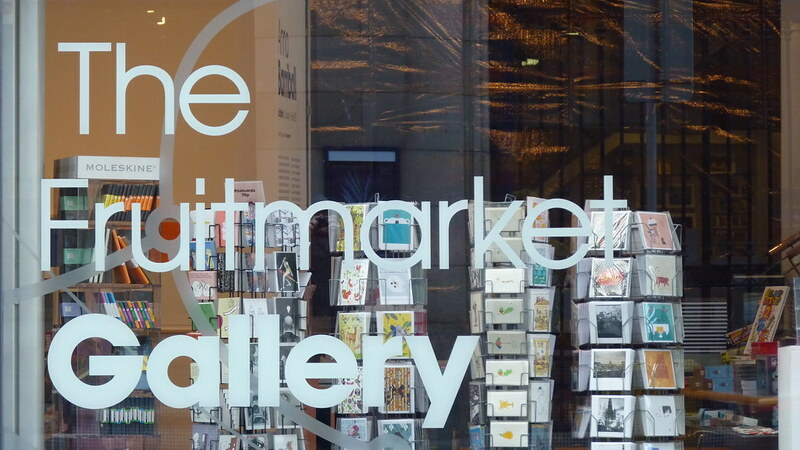 The Gallery is located behind Waverly Train Station in Central Edinburgh. The entrance leads into the book shop area and the cafe. The cafe has huge floor to ceiling windows allowing light and views of people passing by. The main exhibition space starts on the ground floor to the rear of the building with no windows it’s like being inside a white cube. Upstairs is the main exhibition space which is one large light space with an additional smaller area for multimedia digital exhibitions. Overall a lively and well thought out design that shows art at its best.